Honey bees, native bees, butterflies and other pollinator populations are rapidly declining. We're on a mission to promote healthy and thriving populations of honey bees and other pollinators. You are the most important part of bringing them back! Why are our Pollinators in Trouble? Loss of available forage (plant food sources) has had catastrophic consequences for bees and other pollinators. Habitat loss from urban development, monoculture farming as well as herbicides and pesticides have all contributed to a massive decline in the amount of clover, dandelions and other wild flowering plants available for bees. 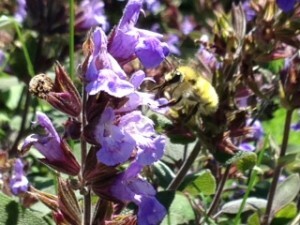 These plants are important in providing essential nutrients for maintaining a bee's health. Herbicides (like glyphosate, trade name Round Up) can wipe out huge areas of important food sources for bees and other pollinators. Glyphosate is wiping out milkweed, the sole food source for monarch butterflies. Their populations are the lowest they've ever been. Glyphosate has also been determined to be carcinogenic for humans, in recent scientific studies. Why are Pollinators so Important to Us? Pollinators provide a vital service to humanity by pollinating flowering plants. The visited flowers then become fruits, nuts, seeds and vegetables. Of 100 crop species that provide 90% of our global food supply, 71 are bee pollinated. These crops account for more than $16 billion in generated revenue in the United States. A world without our pollinators would be very different. It would be a world without the diverse foods that we enjoy and make our diets healthy and would be a far less colorful, beautiful and diverse place to live. We have no time to waste in taking the steps necessary to reverse the trend of decline in our pollinator populations. Native bees, including bumble bees, butterflies, hummingbirds, honey bees and bats are all sending us a powerful message: if your yard or garden is not being frequented by bees and butterflies, it's a signal as to the health of your surroundings. You can change it! 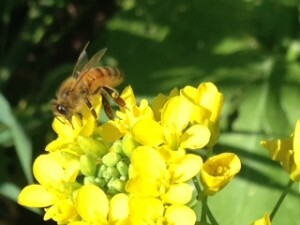 How can you "Bee a Pollinator?" There are a number of very simple ways you can help. Plant pollinator-friendly flowers and herbs. Don't use pesticides or herbicides or fertilizers that contain pesticides on your lawn or garden. Bees love dandelions and clover. 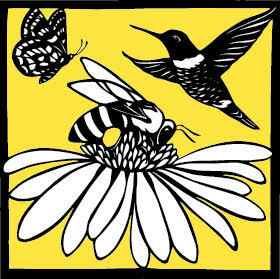 Get a Nikki McClure original sign and post it to let your neighbors know you're feeding bees! The signs are 18 X 24 inches and made of durable aluminum. Buy pesticide-free food. Support your local organic farmers. Get to know them. Learn more about bees, butterflies and other pollinators. Share with everyone you know! Pollinators are cool! Become a beekeeper with honey or mason bees. Bees need water, especially in the hot, summer months. Place a bird bath or basin with stones (to prevent bee drownings) in your garden or yard to provide a water source for them. Write to your local and federal government leaders, senators and representatives asking them to support legislations that is favorable to pollinators. This will ultimately be favorable to you, too! Get your school, church or business involved in "Beeing a Pollinator". Look for our special "Pollinator Hero" corner on this page, to recognize the people in our community going the extra mile to protect our bees and butterflies. Share what you've learned with your friends, family, neighbors and coworkers. The more this information is shared and ideas pollinated, just like the bees visiting all those flowers, the sooner we can turn a dire situation into a sustainable one. We want to hear how you've been a pollinator!! Go to the "Bee a Pollinator" Facebook page and show us where you've put your sign, the plants you've installed, the bee book you read to your kids, your children's pollinator art or your beautiful bag of organic produce that is destined for your dinner table. There are lots of ways for everyone to participate, whether young or young-at-heart and we're excited to see what you do! At Pollinator.org you can type in your zip code and get a list of pollinator-friendly plants for your region. Thank you for bee-ing a pollinator and helping our butterflies, bees and birds! For more information on this campaign, please contact Laurie Pyne, OBA President at LMPCarl@gmail.com. Please check back often for updates on the campaign and locations where you can get your very own Nikki McClure garden sign. Also, please come and visit our amazing Bee Booth and pollinator garden at the Thurston County Fair July 29th-August 2nd. You won't want to miss it! 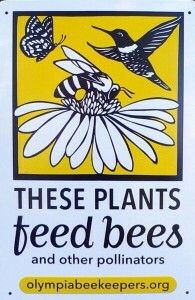 Get your very own Nikki McClure "These Plants Feed Bees" sign! We're also happy to mail you a sign too! Signs are $30.00 each plus $6.00 shipping and handling if you live in western Washington. Contact LMPCarl@gmail.com if you need more information.